Medical calculators come in all different shapes and sizes – from traditional paper OB wheels to the more tech-savvy app calculators. 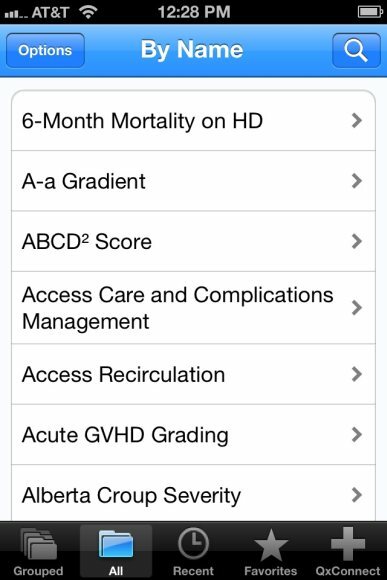 There are numerous medical calculators available in the app store, but few offer as much bang for your buck as Calculate by QxMD. 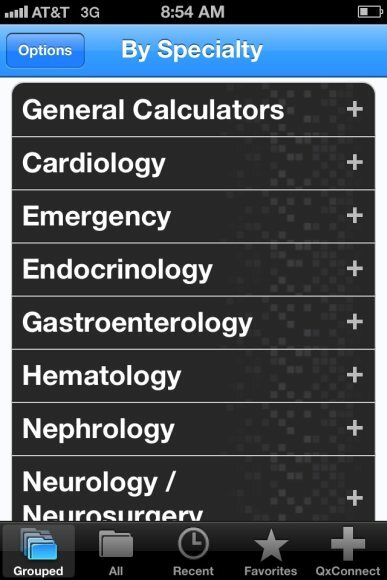 This app provides a variety of calculators in all different areas of medicine. From basic BMI calculations to Bishop Scores and Ranson’s Criteria, QxCalculate leaves little to be desired in the way of medical calculations. 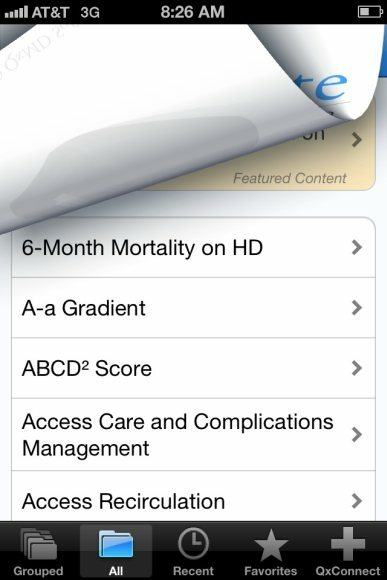 The user interface is well designed with expandable menus organized by specialty in alphabetical order. There’s also an option at the bottom of the screen to quickly switch to an “All” view where every calculator is organized alphabetically by its name. 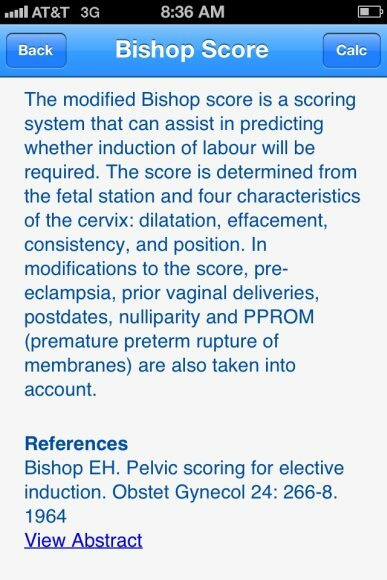 Each calculator is a little different, but for the purposes of review and demonstration we’ll discuss the Bishop Score calculator. 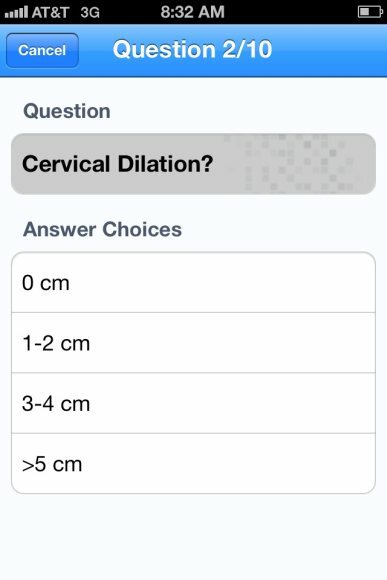 Each selection will open up into a series of questions which are numbered at the top of the screen so you can judge how long the questionnaire will be and where you are in your progress. When you complete all the questions you’re taken to a screen with a review of your answers so you can ensure that nothing is incorrectly entered and at the bottom of the same screen you’re given the results. By clicking “Info” at the upper right hand corner of this screen, you’re taken to an explanation of the calculation’s use with journal references for its development. 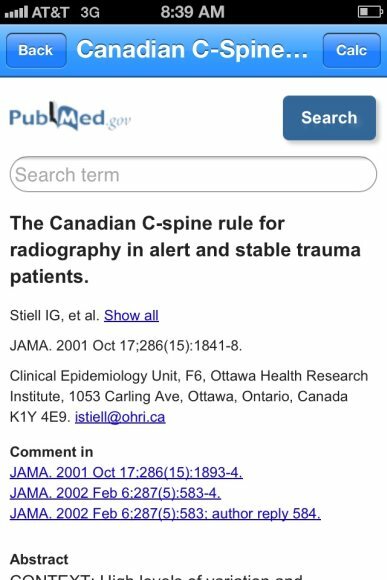 Ideally when you click on “View Abstract” the app will link you up with a PubMed article without leaving the actual app, but occasionally it will hiccup and not work correctly. Linked references are a great addition to the app and, quite frankly, I’m surprised that with this much referencing and interactivity it is free. 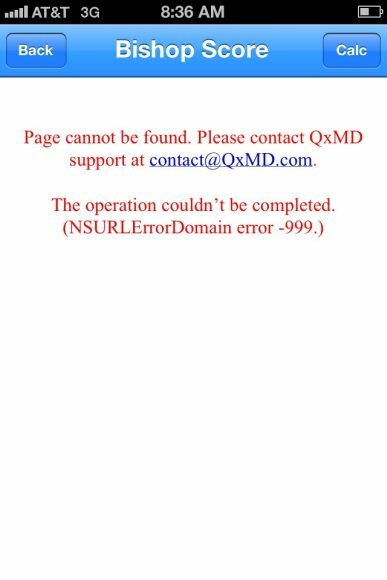 On the rare occasion when the app will misfire it gives an error screen when attempting to take you to the abstract, but more often than not, the links do work appropriately. There are a couple of other handy sections at the bottom – including a history area that stores a list of calculators that have recently been accessed and a favorites area that allows the user to store a group of most-used calculators. It was a bit less than intuitive how you go about adding calculators to the favorites section, but there’s a straight-forward explanation included in plain sight on the favorites home-screen for easy reference. The Qx Connect link at the bottom is mostly an advertising area where the company displays some of their other iPhone and iPad apps. At first glance this section may seem a bit annoying. But when you take into account that the app itself is free and has no overly-intrusive advertising, it’s actually kind of nice. I will definitely be keeping an eye on the Qx Connect area to see what else this company has to offer in the future. 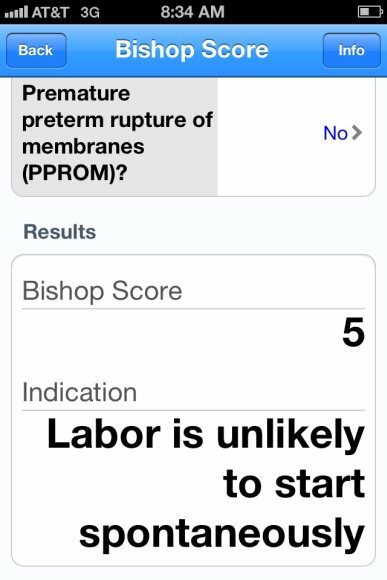 MedCalc Pro is way better than QxCalculate. Give it a try and let me know. Despite having more formulas, it also has a simpler interface.